Apple CEO Tim Cook has hinted that the company may one day built a medical device, following the success of the Apple Watch and iPhone as medical tools. 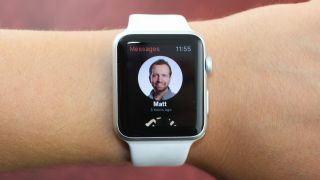 He made the claim during an interview with the Telegraph, in which Cook ruled out submitting the Apple Watch to America's medical devices regulator. "We don't want to put the watch through the Food and Drug Administration (FDA) process. I wouldn't mind putting something adjacent to the watch through it, but not the watch, because it would hold us back from innovating too much, the cycles are too long. But you can begin to envision other things that might be adjacent to it - maybe an app, maybe something else." Such a move would perhaps not be surprising. Earlier this year Cupertino launched ResearchKit, a new framework to help scientists and researchers build apps that can collect data using Apple's devices for use in medical trials. A few weeks ago it revealed some of the first successes. This included an app that can detect early signs of autism by monitoring the responses of kids to videos shown on screen, and an app for users to take photos of moles, so that scientists can learn how to better spot the early signs of melanoma. These are encouraging first signs that technology is improving how we approach medicine. So perhaps a fully-fledged medical device from Apple could be just what the doctor ordered.